Anyone who has ever hiked in a mountainous area can attest to the fact that hikes can vary in difficulty form very easy to the most extreme. 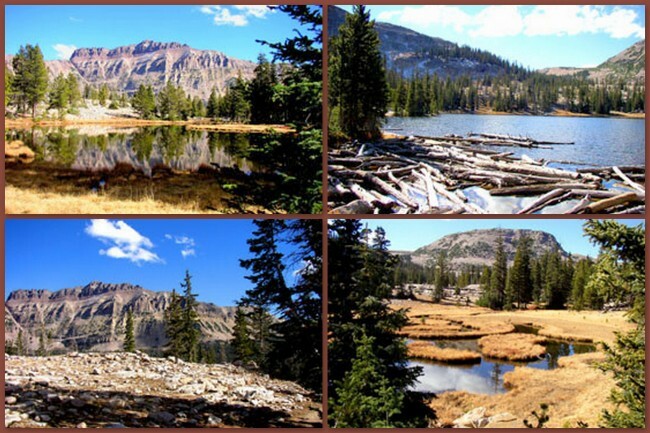 While in northern Utah, I had the chance to hike up to a glacier-remnant lake named Ruth. Located only 43 miles south of Evanston, Wyoming. 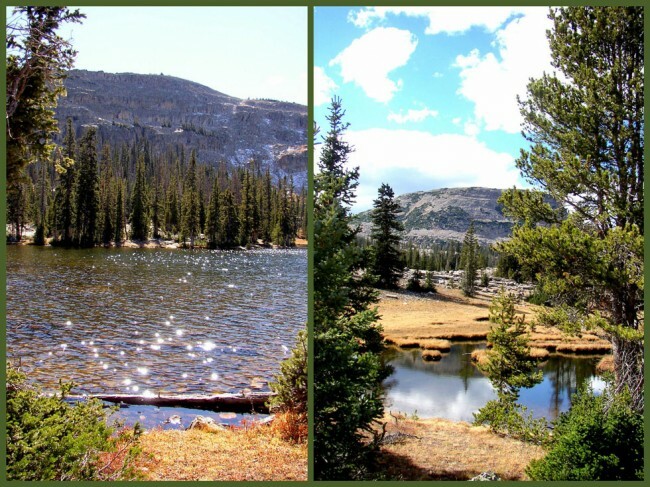 This lake is one of the most popular trekking destinations in the area (USGS maps Hayden Peak and Mirror Lake). What makes this particular hike so nice is that most of your elevation gain is accomplished while sitting in your vehicle (a good thing if you have problems with high altitude). The effort necessary to see this lake is minimal. The well-maintained trail takes you directly into a high-country forest where you’ll be surrounded by lodge pole and limber pines and white fir. Along the trail you’ll find several interpretative wayside exhibits which give excellent information on the geology, botany and wildlife of the area. This is a perfect hike for families. The ease of the trail, the gradual grades and the wonderful scenery make for an excellent day hike for explorers of all ages. At the end of this ¾-mile hike you’re rewarded with an eye-level view of Ruth Lake with Hayden Peak (12,479 feet above sea level) reflecting in the mirror-like surface of the water. 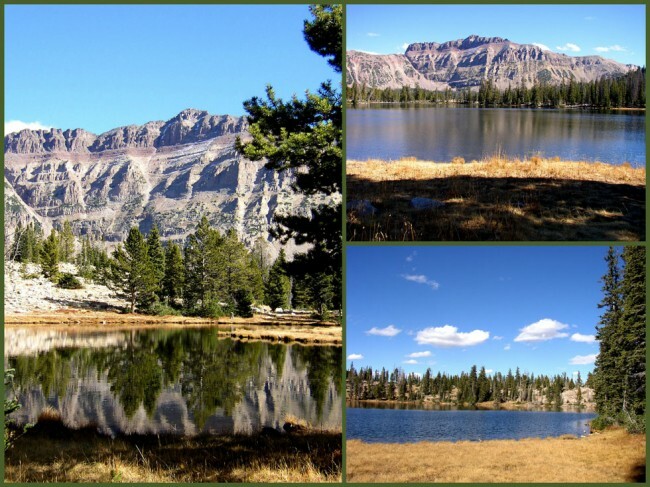 Hayden was named after Ferdinand Hayden, the first geologist to survey the western Uinta Mountains. 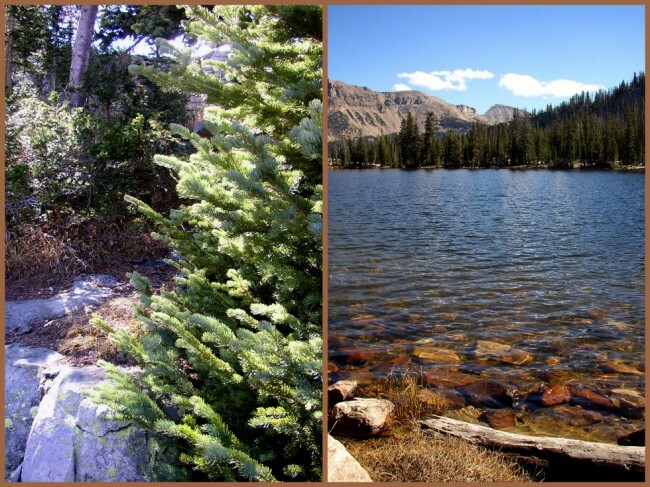 You begin the hike at 10,108 feet above sea level, and at the lake you’ll be at 10,358 feet, clearly an easy gain. Geologically, Ruth Lake is a leftover from the Pleistocene Ice Age. The rocks which surround the lake are of the Watson Formation and are about 800 million years old. It is a white-colored, sandstone and sedimentary in nature. If fishing is your thing, make sure to take a rod and reel with you. The lakes of the area are teeming with: arctic grayling as well as brown, brook, rainbow, cutthroat and golden trout. You will need to obtain a Utah fishing license to take advantage of this opportunity. Give yourself a minimum of one hour for this hike, and if you’re smart you’ll schedule a lot more time to allow you to explore other lakes in the area. FYI, you can camp here if you so desire, though you’d be better off to head over to one of the nearby, lesser-visited lakes due to the high visitation at Ruth. This area would be a backpacker’s dream without question. 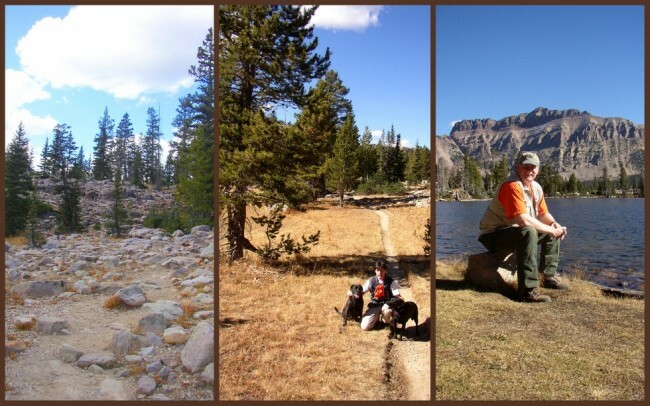 The ease of the hike, the scenery and the ready availability of water makes this a “home run”. Like most other federal land, a User Fee is in effect for this area. Make sure to pick up a permit at either of the entrance stations on highway 150. The cost is minimal, and the pleasure immeasurable. Camping reservations can be made online at http://www.reserveamerica.com. Once you’ve completed your hike I strongly suggest that you drive up to Evanston and stop by Michael’s Bar & Grill, located on Front Street . Jeff and I have eaten there a couple of times and found both the atmosphere and the food to be awesome both times. My personal favorite is the Wild Man Burger, which is not for the faint of heart. Last modified on: July 11th 2015.